There are so many free and awesome tools available to businesses today if they are informed and know how to use them (or know somebody that does). 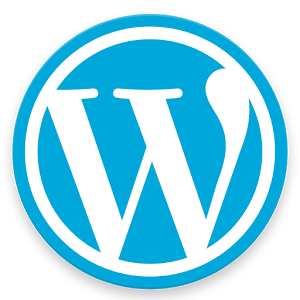 WordPress – Free to host on your own server and free to use if you know how. There are a TON of free resources and training for WordPress. Most of our own and client sites run on the WordPress framework. It is completely versatile since it is open source and outside programmers can create plugins for it. Google – Google has endless FREE applications from email to Website Management Tools. You also have the choice of upgrading to their business email plan. We use their software for a wide range of uses, but most widely used is the Google Drive Application for storage, document sharing and images. Our FREE evaluations offer a review of your current business productivity tools, if applicable, and recommendations such as the above for how you can utilize FREE tools for everyday use. Put Your Website to Work For You! You want to represent your company online but did you know that your website can also help manage and grow your business? Private & Secure Client Portals -Creates private and secure areas on your site that are uniquely permissioned to a particular client or contractor. You can create as many clients/contractor areas as you like. Estimates & Invoicing -Easily create estimates and invoices that your clients can pay online using the provided payment gateways. You can display invoices on your website, send in .pdf format via email, or print out and send in traditional snail mail. http://mediaoutbreak.com/wp-content/uploads/2017/08/mologogray-300x30.png 0 0 admin http://mediaoutbreak.com/wp-content/uploads/2017/08/mologogray-300x30.png admin2018-10-01 20:17:302019-02-27 05:08:22Put Your Website to Work For You! We had some great success with our Spring Special of 25% off web services and we wanted to continue to offer a great promotion for new or existing clients. 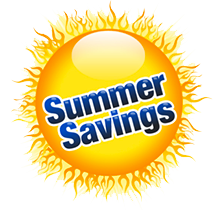 Our Summer Special has just launched and we are offering a $500 credit/sign on bonus for any new project we start now through August 29th. This will be a nice bonus for those that couldn’t make the Spring special, but still want to take advantage of such savings. Media Outbreak has been the webmaster for Associated Builders & Contractors for years and we were thrilled to once again launch a new and modern website for them this month. The new website features a interactive council map along with many other requested and desired features such as event management, award application submittal, news and lots more. We’re excited to unveil new and affordable website solutions exclusively for construction or architectural companies. Choose from 6 beautiful and modernly designed templates that will be customized with your company colors, logo and content. All sites come with a CMS (Content Management System) training manual if you elect to maintain your own site after launch. Additional site tools to help grow your business include contractor/customer portals and a full featured project management system.